Our hard Floor Cleaning Service in Leighton Buzzard is suitable for your floor cleaning, polishing and restoration services for residential and commercial properties. We specialise in hard floors wood or natural stone floors (marble, granite, limestone), as well soft Floor coverings such as LVT (Luxury Vinyl Flooring), Vinyl , Lino and Marmoleum. First Impressions are very important and with the proper maintenance we can keep your floors appearance looking its best for as long as possible. You can rely on our experience for your floor restoration or cleaning projects and you’ll be guaranteed to have perfectly looking hard floors. 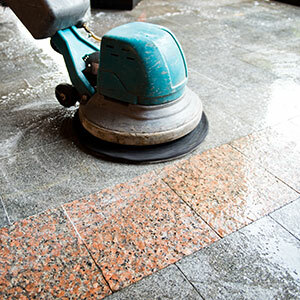 DMC Facilities Management can help with your regular floor cleaning and maintenance.